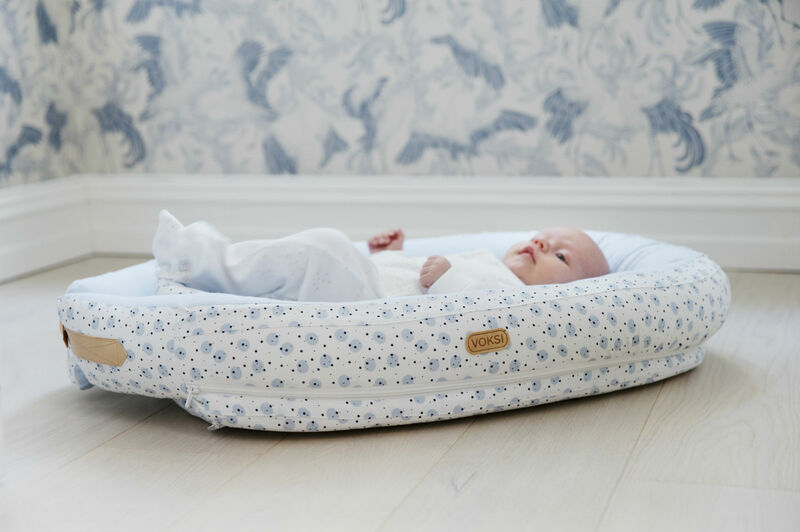 Our popular Voksi® Baby Nest Premium takes on a stylish new look with a beautiful print inspired by a gleaming, moonlit sky. The playful new moon print features individually hand drawn spots in different shapes and sizes. We’ve complemented the delicate design with three new colours that reflect the lighter, brighter seasons ahead – Moon Rose, Moon Grey and Moon Blue. Or you can choose one of our original, soothing colours of light or dark grey. 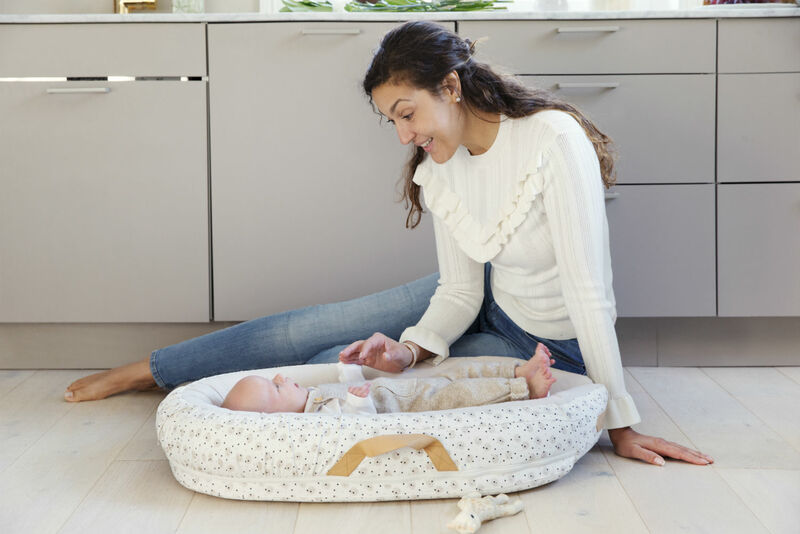 Not only does it look beautiful, the Voksi ® Baby Nest is the perfect place for your little one to rest. 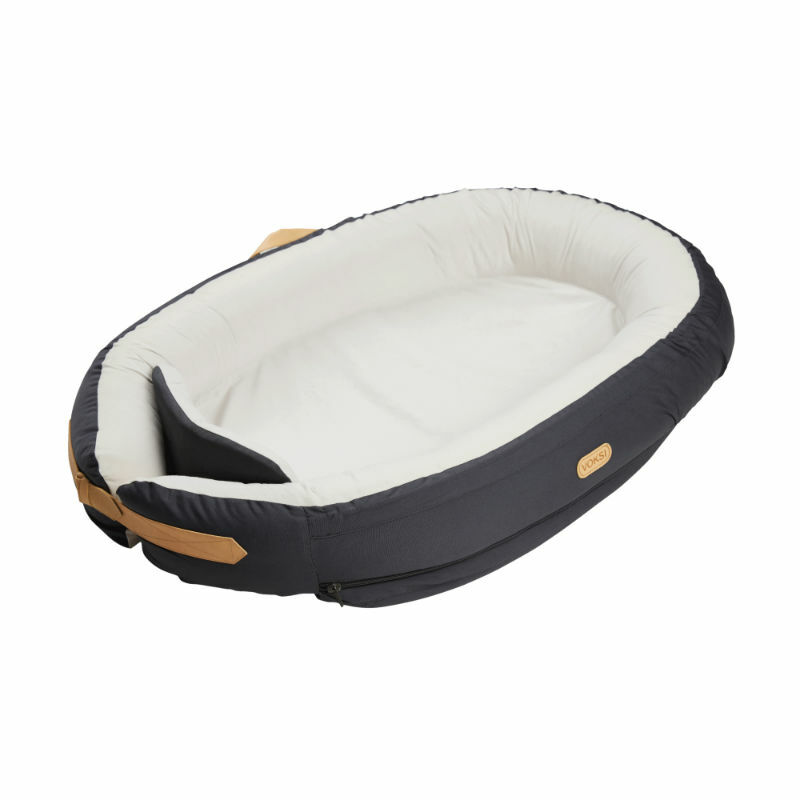 Placed on a stable surface, this safe and comfortable cocoon allows you to keep an eye on each other while you go about daily tasks. 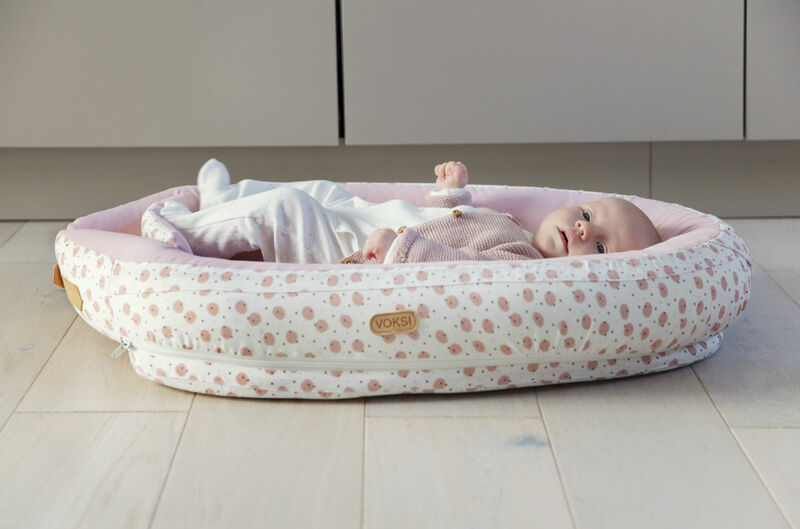 Or you can snuggle up next to baby while feeding – they will feel truly safe and content lying beside you in their cosy Nest. 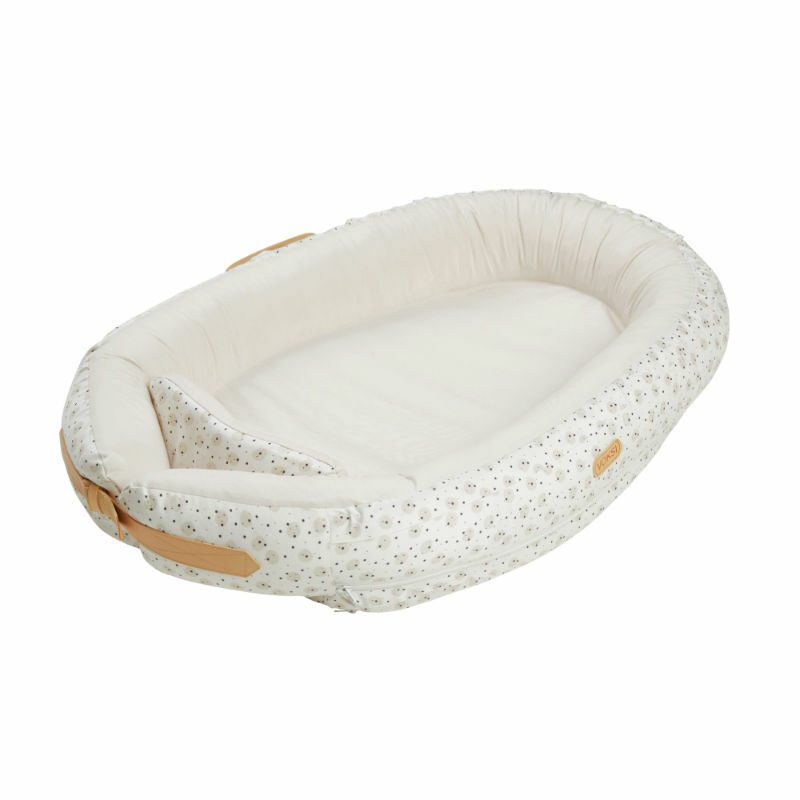 Made of high-quality materials and washable parts, the egg-shaped Nest has a firm but soft mattress which supports baby’s head and neck. 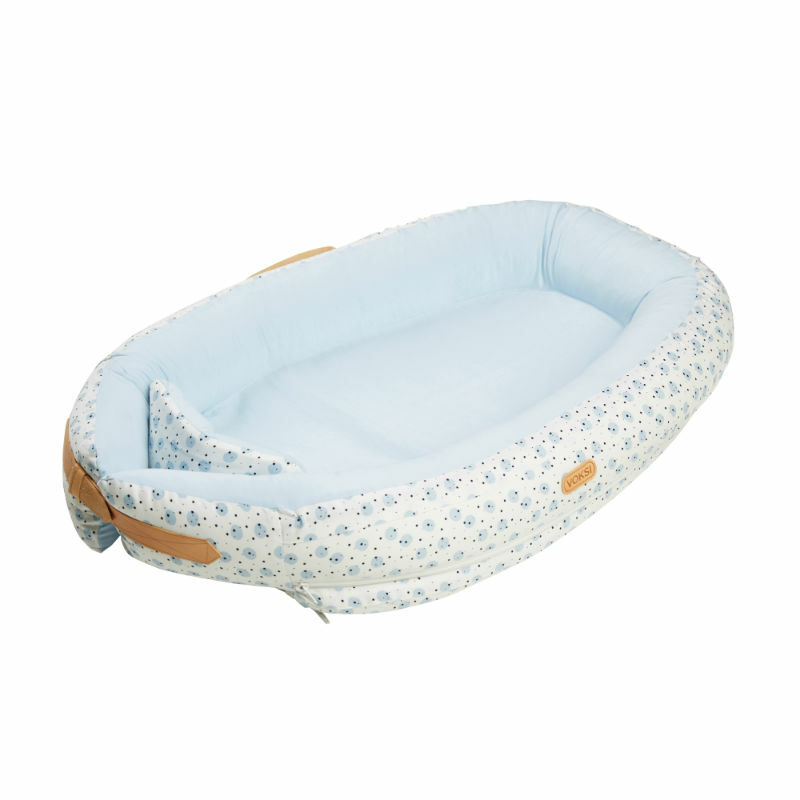 The cosy, yet solid outer rings encircle your baby protectively and an extension piece allows for more space as they grow (up to approximately 7 months). 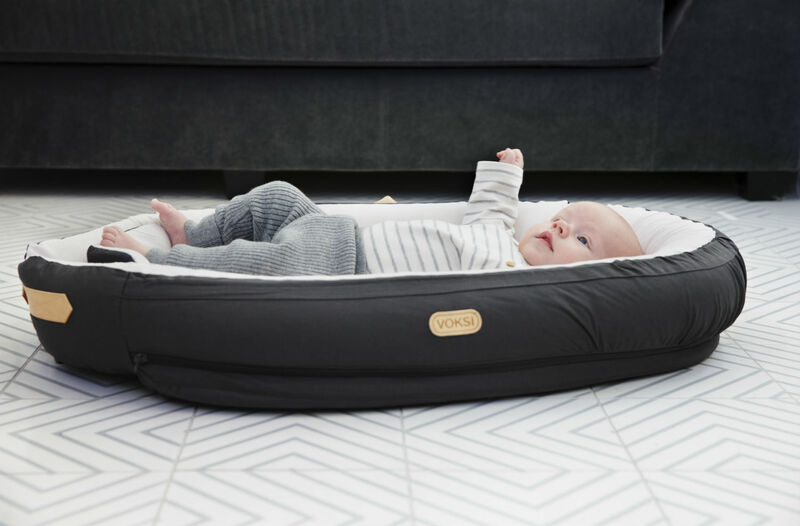 It’s also lightweight, portable and includes a handy travelling bag, so baby will feel at home wherever you go. 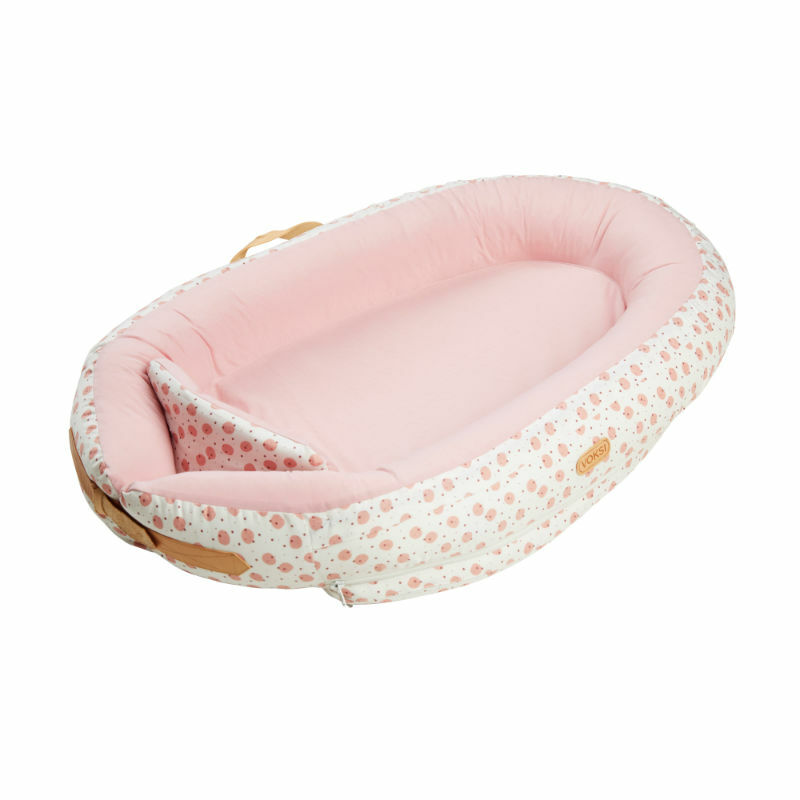 You will love having such a sweet and calming space for them to watch the world go by. And the hands-free time for you is a nice bonus!